Is Your Business Software System Helping – or Hindering – Your Company’s Growth? Home > Blog > Accounting & Systems > Systems Integration > Is Your Business Software System Helping – or Hindering – Your Company’s Growth? It is not uncommon for Los Angeles and Southern California business owners and entrepreneurs to adopt the attitude “if it ain’t broke, don’t fix it” when it comes to their business software systems. If the old legacy systems work fine, the thinking goes, then why make a large capital investment in new ones? However, this kind of thinking can be a false economy and can negatively impact the business in a number of ways. Just because your legacy software systems are “working” doesn’t mean you are getting the biggest bang for your bucks out of them and upgrading to a new system does not necessarily require a large capital investment. In fact, many of today’s new business software systems offer cash-flow friendly options based on paying annual licensing fees, rather than having to purchase long-term licenses up front. Also, initial set up and implementation of today's systems may be much less costly than the set up of the previous generations of systems. § The information is only available at month-end, or ad hoc reports must be requested by users who have to wait to receive the data they need. § The data requires manipulation in order to be useful. Cumbersome report writers or Excel spreadsheets may have to be used to provide users with the information they require. § Managers in remote locations or who are traveling do not always have access to the system. § There is an inability to meet the technological demands of suppliers and customers such as EDI processing of orders and portals that support access to information like available inventories or order status. § Difficulties in accommodating changes in the business may result in inefficient or ineffective workarounds. § There are too many unpleasant surprises because data is old, or the necessary information is not brought together in a single report or available to the appropriate decision makers. § Decision-making is delayed because data is only available periodically, which may result in missed opportunities. § Excel spreadsheets may contain errors. Also, the management team might not all be working with the latest version, leading to inefficiencies and ill-informed decision-making. § Remote users may be hampered by a lack of current data. For example, while visiting a large customer, sales reps are unable to present real-time data that shows the customer's purchase history or be able to encourage the customer to place orders by demonstrating how products are currently selling through in the marketplace. § There can be loss of competitive advantage and consequential loss of customers to competitors who provide the technology interfaces demanded by the marketplace. Implementing a new business software system can be a huge boost to efficiency and profitability and might even be a necessity in order to remain competitive. But making the wrong choice, or having a failed implementation, will seriously disrupt your business — and could even result in business failure. Fortunately, there is a wide variety of options for companies considering upgrading their business software systems, including different technologies and functionality along with a range of costs and payback plans that will fit within the budget of almost all businesses. The implementation of new software systems can be complex, requiring a commitment of resources that might already be stretched too thin. 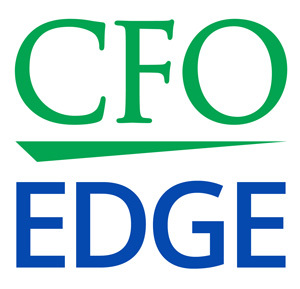 An outsourced CFO services provider can work with you to analyze the effectiveness of your current legacy software systems and help you decide whether or not you would benefit by upgrading to new ones. Such a provider can analyze the functionality of the systems, the accuracy of data the systems are generating, the timeliness of reporting, and the usefulness of management reports. Most importantly, an outsourced CFO can identify gaps and deficiencies in the operational effectiveness of the systems and the information being generated. § Working with management to define functional requirements and the needs for financial and management information — taking into account timing as well as content — and designing customized dashboards as well as traditional user reports. § Defining the vendor and customer interfaces required to ensure the most technologically efficient supply chain and to meet the technology demands of the customer marketplace. § Helping identify software options — including SaaS, cloud or in-house — bearing in mind your in-house IT resources, budget/cash flow considerations, functionality, and data security issues. § Selecting the new software system and negotiating the contract. § Managing the implementation of the new system to provide a smooth transition and assurance that data conversion is complete and accurate. § Continuing to monitor the system’s development and effectiveness as your business grows and changes. Upgrading business software systems can be one of the most cost-effective ways to improve management effectiveness and business performance. Given the options offered by subscription-based SaaS and cloud systems, companies can upgrade with a limited up-front cash outlay and, if the implementation is managed properly, minimal disruption to the business. Also, such options provide clear benefits of outsourcing in that there is less need for internal IT resources, and management can focus on its core competencies while the service provider is responsible for system updates, back-up and security. On the other hand, mistakes in the choice of systems or a poorly managed implementation can have a devastating effect on the business. An outsourced CFO services provider can help you analyze the effectiveness of your current systems, manage the selection and implementation of new systems, and monitor the systems' development and ability to continue to meet the demands of the business on an ongoing basis.